As you might imagine, squeezing the 141,000 ton boat into the River Lea would’ve been akin to stuffing an elephant into a kangaroo’s pouch—awkward, and incredibly painful for all involved. 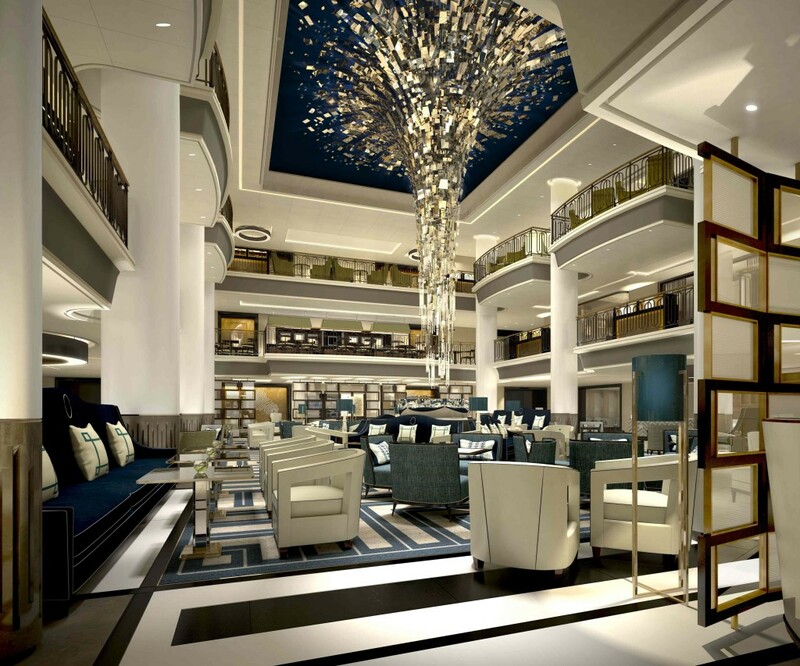 So guests were greeted instead by a dazzling recreation of the ship’s key public spaces. Zigzagging past a gauntlet of jugglers and hip-swiveling hula-hoopers, I found myself in a dark theatrical space flanked by the Limelight Club, a dinner theatre hosting live music, and the Market Café, a deli filled with enough sweet treats to send Willy Wonka into a diabetic coma. 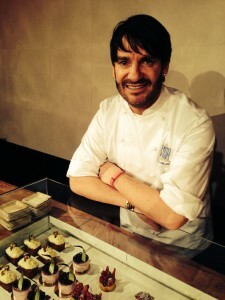 There, mingling with the cake-scarfing crowd, was master patissier and TV personality Eric Lanlard. The charming Frenchman is one of Britannia’s new “Food Heroes,” all-stars of the culinary firmament who will offer cookery classes on select cruises. 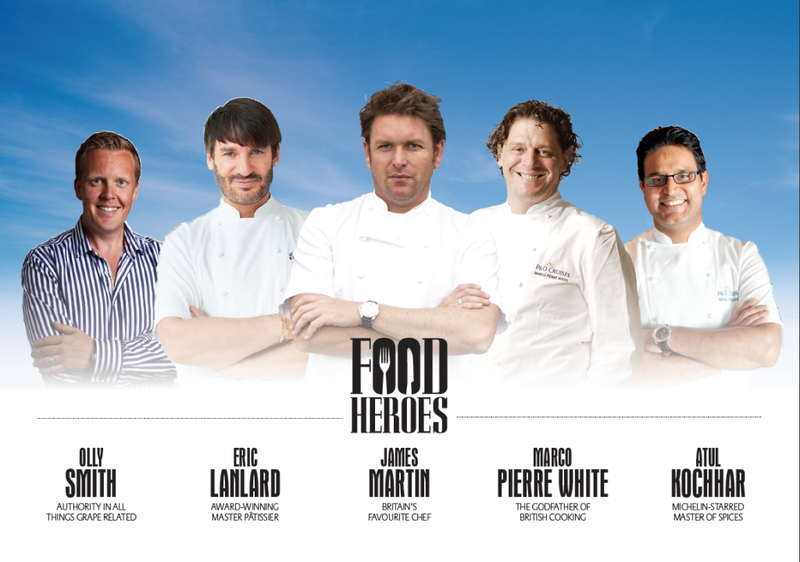 Other “heroes” who’ll come aboard Britannia in 2015 include celebrity chefs James Martin and Marco Pierre White and Michelin-starred chef Atul Kochhar, renowned for his spicy Indian dishes. The foodie Fab Four were on hand Wednesday to heat things up with their cooking demos, giving would-be passengers a taste of what they can expect next year. TV wine expert Olly Smith has also been drafted to head up The Glass House Bar and Grill, one of the Britannia’s thirteen dining venues. 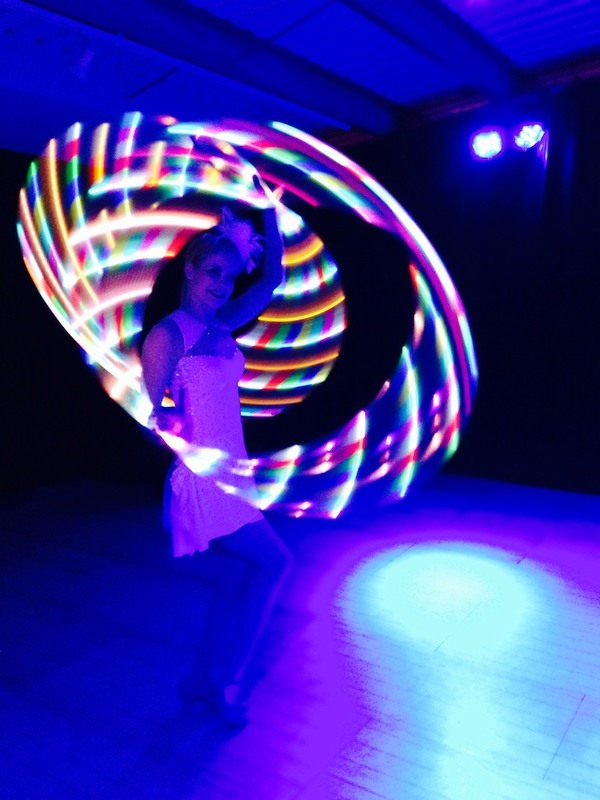 Perhaps it was the free-flowing libations, but I eventually found myself seeing stars (if not dancing with them) in a twilight lounge where fleet-footed hoofers performed against a backdrop filled with glowing pinpricks of light. MC Craig Revel Horwood, a judge on Britain’s popular “Strictly Come Dancing” TV series, explained that guests will be able to participate in Strictly-style dance contests aboard Britannia, as well as purchase some of the extravagant costumes worn by the show’s contestants…provided they can do up the zippers. 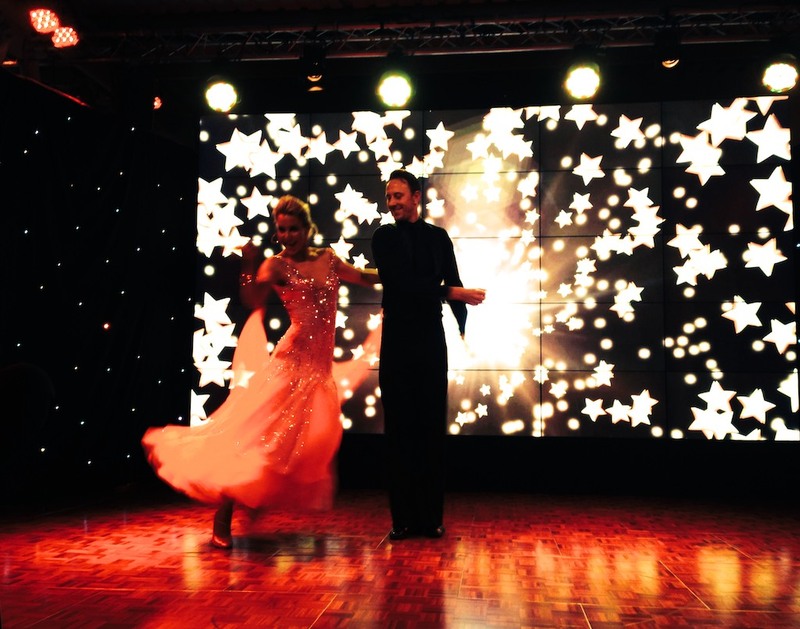 So you’d best start brushing up on those ballroom dance moves now, my friends. You’ve got thirteen months ‘til tango time. Booking details: 14-night maiden cruise, “Britannia B502,” March 14 – March 28 2015. Ports include Southampton, Gibraltar, Barcelona, Monte Carlo, Rome (tours from Civitavecchia), Ajaccio on Corsica, Cartagena, Seville (tours from Cadiz). Prices from £1149 per person. Pre-registration opened on February 13, 2014. General on-sale date March 27, 2014. Tel: +44 (0)843 374 0111, www.pocruises.co.uk. Britannia in numbers: 3,647 passengers; 1,350 crew; 15 passenger decks; 13 bars; 13 food/dining outlets; 9 entertainment venues; 4 pools; £1m+ art collection; 1,837 cabins, including 1,313 balcony cabins; 660 square meters of shops, the most extensive in the fleet. 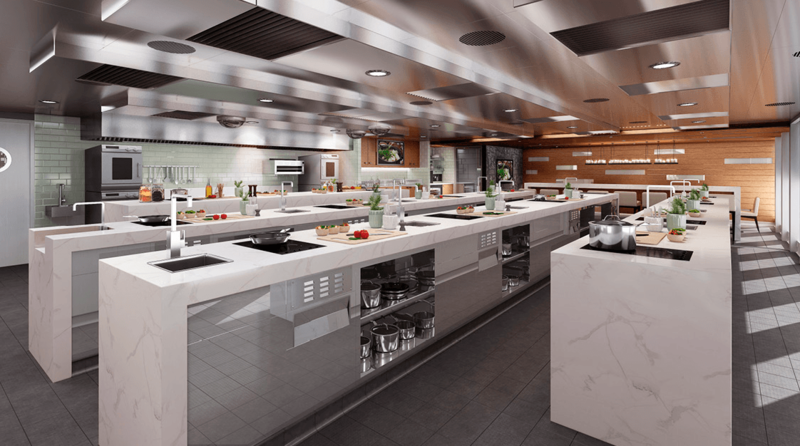 The Cookery Club will feature 12 cook stations, accommodating 24 passengers, with a chef’s performance area at the front. P&O Cruises will offer regular two-hour cooking classes, followed by an opportunity to dine alongside the chef. Artist’s rendition of the Cookery Club. Courtesy P&O Cruises. James Martin, the face of the Cookery Club, will travel on selected cruises during the maiden season to offer classes in person. When he’s not aboard, a Cookery Club team–recruited and trained by Martin–will teach his dishes. Eric Lanlard, Atul Kochhar and Marco Pierre White will also be travelling to offer their own classes, and Olly Smith will use the space for wine tastings and hosted dinners.